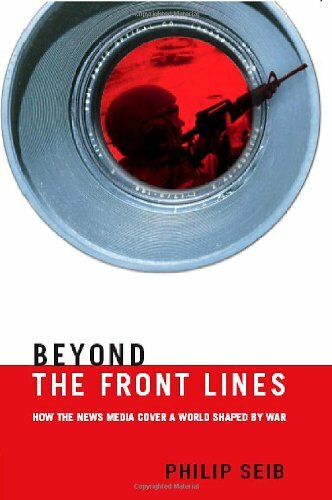 examines news coverage of modern war, with particular emphasis on the performance of journalists during the 2003 U.S.-Iraq war. It also analyzes the relationship between news coverage and American foreign policy, as well as how globalization is reshaping the news business. Philip Seib also describes the changing technologies and ethics of modern warfare, suggests ways journalists might carry out their job better, and offers a new perspective on the role of the news media in a high-tech, globalized, and dangerous world. Philip Seib is a veteran television & newspaper journalist, covering U.S. & international politics & social issues. He has appeared as a guest analyst on CNN & for several network television affiliates, & his columns appear regularly in "The Dallas Morning News" & the "Milwaukee Journal Sentinel". Seib is the author of eleven books. He is the Lucius W. Nieman Professor of Journalism at Marquette University & lives in Brookfield, Wisconsin.